Imagine a wonderful day where the water, the architecture and green spaces transport you. NEW! Ebikes available for this tour ( +20$). 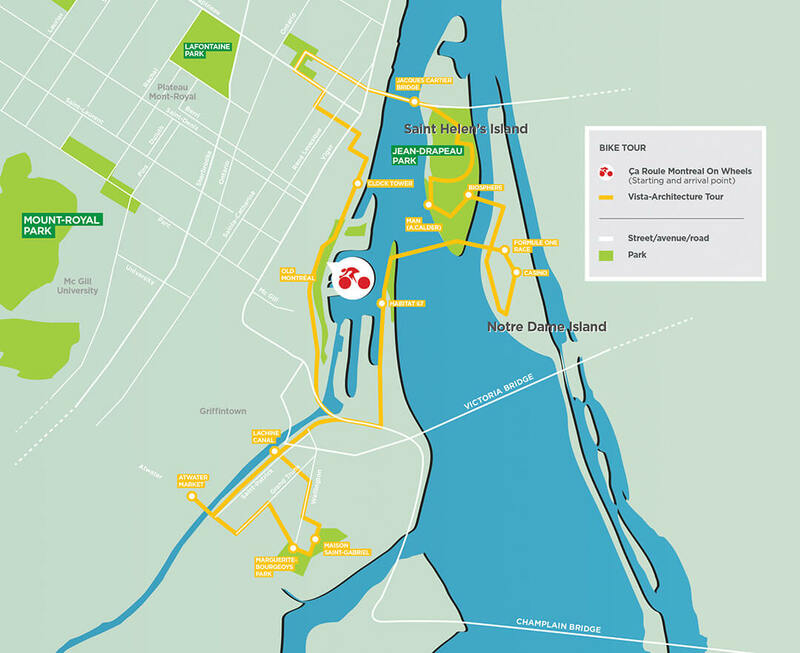 Cross the St-Lawrence river by bike and ride on the F1 racetrack on Notre-Dame island. This experience, unique to Montreal On Wheels, offers you fabulous sites and underlines the historical importance of te river for the city. 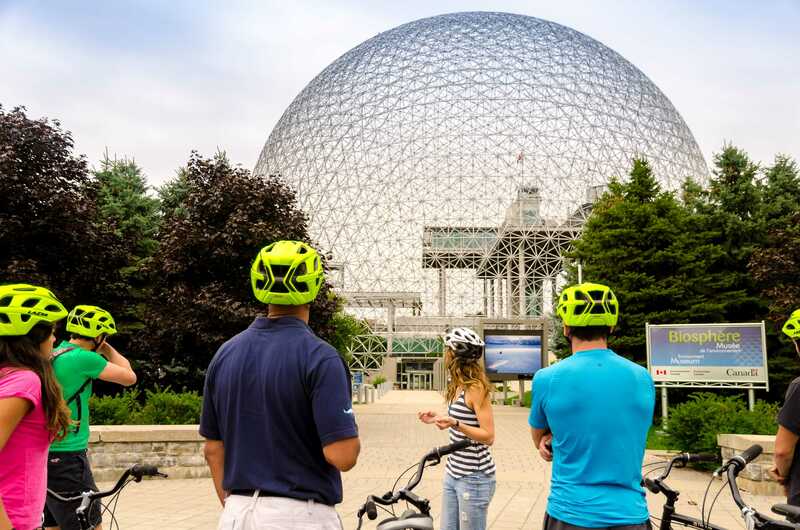 This unique circuit also lets you discover the architectural works that have branded Montreal and the parks that have built its reputation. Places and locations visited: Old Port, Lachine Canal, Atwater market, St-Gabriel House, Jacques Cartier bridge, Habitat 67 (Moshe Safdie), « L’Homme » sculpture (Alexander Calder), Biosphere (Buckminster Fuller), Formula 1 racetrack (Gilles-Villeneuve), Sainte-Hélène Island and Notre-Dame Island. A stop is planned at Montreal’s top rated bakery « Première Moisson » located at the famous Atwater Market , right by the historic Lachine canal. At the end of your tour, real and enjoy a beer or glass of wine served at an old Montreal resto-pub located just next to Montreal On Wheels. Exception for the F-1 week: tour not available on june 4, 6 and 8. Note: This tour crosses the St-Lawrence River by way of the Jacques Cartier bridge. Because of the height of the bridge we do not suggest this tour to people who suffer from anxiety due to fear of heights. This tour lasts around 4 hours and requires a reservation. Departures at 9:30am !